There was criticism of the the doom and gloom mini budget speech in Cape Town on 25th October 2017. 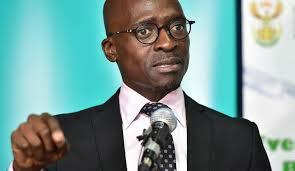 Finance Minister, Malusi Gigaba, himself has said that the speech was a reality check. He went on to say that you can’t tell South Africans that all is well when they are not. Gigaba also mentioned that medical aid tax credits would be coming to an end. He says he delivered an honest, candid message, whether he was the bearer of bad news or not. The speech was also likely to deliver a further blow to those lower to middle income earners. This sector is already battling to make ends meet. Removing medical scheme tax credits will just add more stress to their troubled finances. The government wants to do away with medical aid tax credits. So it looks as though cash-strapped South Africans are to be forced into the already over-extended state health system. If the tax credit is removed, a huge percentage of medical aid users won’t be able to afford cover. They will simply have to drop out of the private healthcare system. Removing medical tax credit is a form of taxation, says critics. They say this is just a ploy by government to counter the effects of a weakening economy. Research by Econex estimates that about 1.9 million people will lose their membership to private medical schemes with this removal of medical scheme tax credits. It is a move by government to get more money from taxpayers to fund the proposed National Health Insurance (NHI). Tax credits for medical care premiums encouraged people to contribute more for their own medical expenses rather than to rely on state health care. Eliminating tax credits is also going to see medical scheme contributions going ever higher. This is just a vicious circle because it means fewer people signing up with medical schemes. Fewer people on private medical schemes is just going to put more pressure on the public sector. All medical scheme members are going to be affected. It will cap the number of South Africans covered by private medical schemes if no new members are joining medical schemes. Add to that the fact that the average age of members and risk profiles will go up, and this too will contribute to bigger monthly premiums for those who do somehow manage to remain in the market. Documentation from SARS shows that getting rid of medical tax credit will simply mean that medical aid members will be losing anything between R300 and R1000 plus each month. When you think of a family of 4, it could mean losing as much as R1000 a month which adds up to a sum of R12,000 a year. The mandatory payments into NHI will in all likelihood do away with private insurance. Which of the already many cash-strapped South Africans are going to be able to pay for private health care when they’ve still got to contend with mandatory NHI payments as well? Very few. It simply means that more and more South Africans will have to stand and queue for the already ‘can’t cope’ public health services that exist in the country. In fact, health minister Motsoaledi has already said that once the national health insurance system is up and running, what reason would there be to keep medical schemes? South Africans need to sit up and take note and understand the implications of this bad news. They need to heed the fact that their access to quality healthcare is being slowly but very surely being taken right away from them.